A GREAT USE for our fall bounty of New England apples is also among the easiest to make: applesauce. All it requires is a few minutes to wash and quarter some apples. You can use one variety or 20. If an apple is too tart or has lost a little of its firmness, toss it in: its flavor may blossom in applesauce. Throw the apples in a big pot with 1-2 cups of liquid (water or fresh cider if you have it) to keep the apples from sticking to the bottom. On low to medium heat, cover and cook the apples until they are soft, stirring occasionally. Either put the apples through a food mill or mash them with a fork. Add a little cinnamon or not. You are done. It is that easy to make this naturally sweet treat. Applesauce can be enjoyed by itself or sprinkled with raisins, served over ice cream or pancakes, or stirred into oatmeal or yogurt. It freezes well and is a featured ingredient in many baked goods. 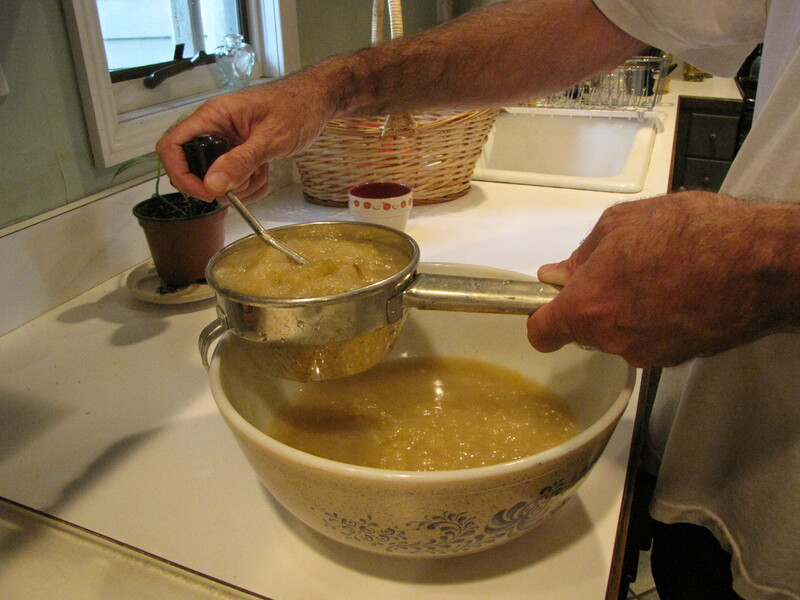 Applesauce can be substituted for other liquids in recipes, from butter and shortening to water and eggs. THIS FALL I find myself tasting many more apples than usual — and I normally taste a lot of apples. 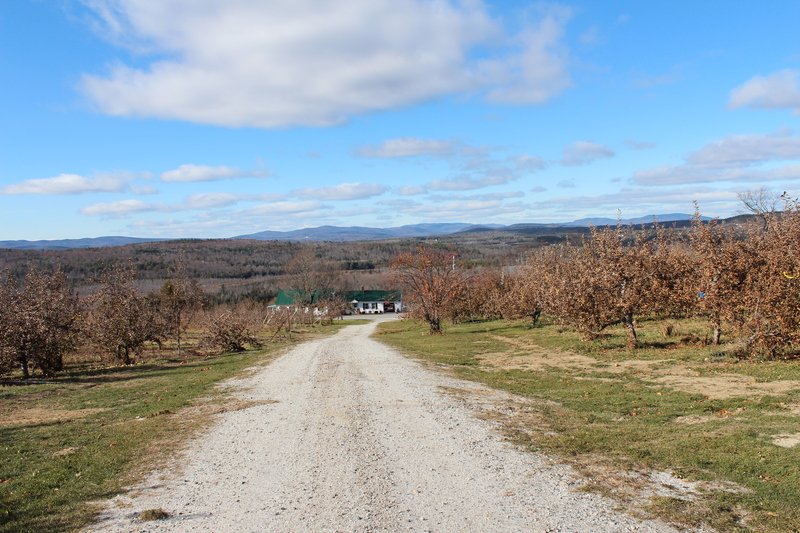 The reason for the increase is that I am working on A Field Guide To New England Apples, which will be published by Countryman Press next year. I am tasting and re-tasting dozens of apples to better describe them, fresh off the tree and a month or so into storage, and cooked, when possible. My 2012 book America’s Apple features photographs by Bar Lois Weeks of 120 apples, and her photographs will illustrate the Field Guide’s detailed descriptions of 150 varieties currently grown and sold in New England. Add to this more than 100 rare heirlooms (including about 60 varieties preserved in an orchard at Tower Hill Botanic Garden in Boylston, Massachusetts), and I will have eaten or sampled several hundred apples by the end of my research. Recently I spent several nights making sauce with some of these rare apples, mixed in with contemporary varieties in my refrigerator. I used classic standards like Cortland, contemporary varieties like Creston, Honeycrisp, Shamrock, and Spencer, heirlooms including Arkansas Black, Cox’s Orange Pippin, and Gravenstein, and such rare apples as Crow’s Egg, Deacon Jones, and Peck’s Pleasant. The results made these batches of applesauce as delicious as they were unusual. For the liquid, I used a jug of mulled cider left over from our booth at The Big E, which gave each batch a hint of cinnamon and other spices. I froze half of each batch and have been enjoying the rest on maple walnut ice cream or mixed with chopped dried apricots. It adds great flavor to this recipe for Apple Gingerbread, adapted from Cynthia and Jerome Rubin’s Apple Cookbook (1974, Emporium Publications). The recipe is unusual in that the sauce is separate rather than mixed in with the batter. The nicely spiced gingerbread bakes in a bed of applesauce, which makes a nice topping when the cake is served. The gingerbread is especially good served warm. The original recipe calls for whipped cream sprinkled with orange zest. I did not have either ingredient on hand but did not miss them, though it sounds delicious. Preheat oven to 350°. Melt butter in large saucepan. Remove from heat, and add water and molasses. Sift together dry ingredients and add to liquid, beating until well blended. Pour applesauce into an 8″ x 8″ pan. Spoon gingerbread over applesauce. Bake for about 35 minutes. FOR MORE INFORMATION about New England apples, visit newenglandapples.org. The apple ginger bread sounds delicious. I’m going to use this recipe for our Christmas meal, for dessert. And then I’m going to have it again for breakfast if there’s any left. You better double the recipe if you expect to have some for breakfast! Enjoy.